Shirts With Random Triangles: Alabama lands four-star safety prospect Ronnie Harrison for its 2015 recruiting class. Alabama lands four-star safety prospect Ronnie Harrison for its 2015 recruiting class. Ronnie Harrison. Photo via al.com. Alabama has gotten the 20th member of its 2015 recruiting class virtually in Florida State's backyard. Tallahassee, Fl. 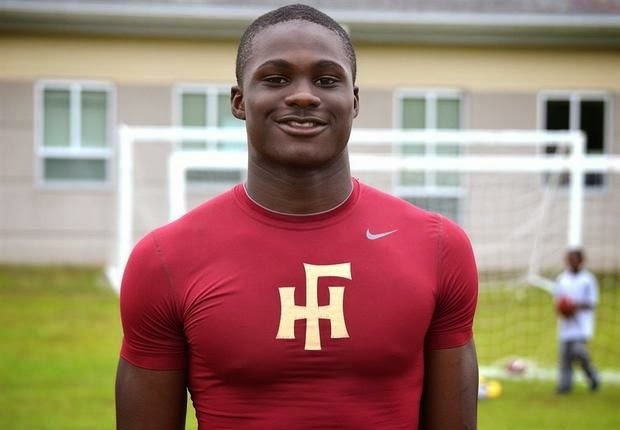 high school junior safety Ronnie Harrison committed to the Crimson Tide on Tuesday afternoon. Here are the 247Sports.com numbers for Harrison. Harrison is rated as a four-star safety, and is ranked 205th among 247Sports.com's Top 247 football prospects for 2015. He's rated as the 13th-best safety prospect for 2015. He is ranked as the 29th-ranked 2015 prospect in the state of Florida. Harrison attends Florida State University School in Tallahassee, Fl., a developmental research school run by FSU. He stands 6'3", and weighs 205.